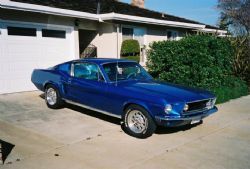 Every month there will be a "Featured Guru" article that appears on the Home Page that will highlight a business that appears on the Classic Car Gurus website. These articles are written by Patrick Quinn who is well known amongst classic car and historic racing circles. All Featured Guru articles will be archived on the site and can be found here for future reference and reading.